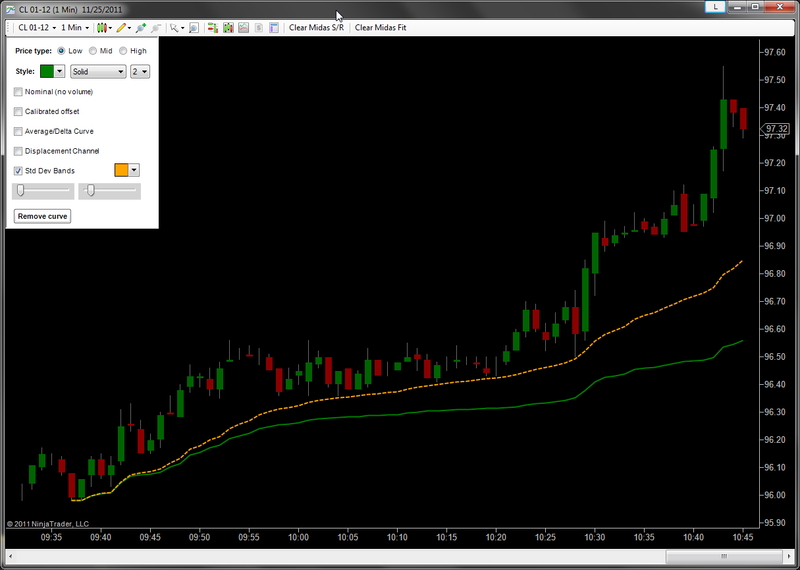 Midas Advanced includes new indicators for MIDAS analysis, which expand its capabilities. Midas Standard Deviation Bands is a powerful new tool, which can be used for both sideways and trending markets. Bands are formed based on the standard deviation between price and the MIDAS curve. To create Midas Standard Deviation Bands, first launch a normal MIDAS curve. Then from the dropdown, enable "Standard deviation bands", and adjust sliders to move the band curves up or down. They should be moved to the first pullback, and future price will often interact with the bands.